Dec. 4 (UPI) — Ohio State coach Urban Meyer plans to retire from coaching after the Buckeyes face Washington in the Rose Bowl on Jan. 1. 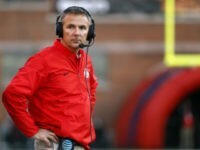 COLUMBUS, Ohio (AP) — Ohio State trustees on Wednesday began discussing the future of football coach Urban Meyer with Meyer seen entering the building where the meeting was underway. 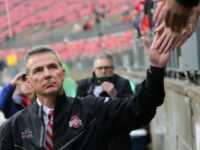 Urban Meyer is insisting that he properly handled 2015 allegations of domestic violence against one of his assistant coaches at the time, though he acknowledged he was not forthright with reporters when questioned last week about the claims. 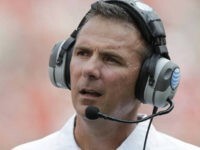 An article in Rolling Stone magazine has alleged that Ohio State coach Urban Meyer, possibly covered up a drive-by shooting involving former NFL player Aaron Hernandez, when the two were at Florida. 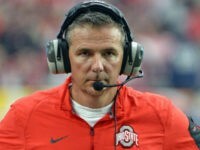 Aug. 1 (UPI) — Ohio State placed Urban Meyer on paid administrative leave Wednesday while officials conduct an investigation into when he knew about abuse allegations against a fired assistant coach. Just a week ago, Ohio State coach Urban Meyer insisted that he knew nothing of a 2015 accusation of domestic violence against a Buckeyes coach. 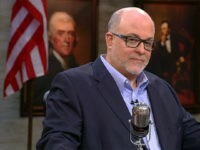 However, according to a report, it looks like he may have known after all.